Are you looking for ways to cut a few strokes off your game? Or tired of using markers of physical elements such as trees and bushes which, we all know, are not always accurate? Do you think you need the best golf laser rangefinder that will help you be more accurate and precise? Don’t worry, that’s why we’re here! Distance is an essential element to take into account in golf and laser rangefinders help out determine accurate distances. Which means you’ll be able to get more reliable distant readings. 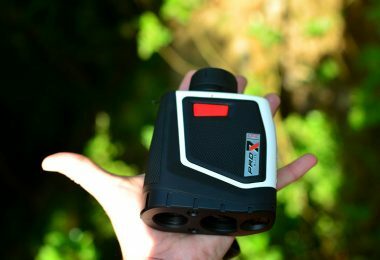 There are many types of laser rangefinders on the market and each of them has their pros and cons, making one type a favorite for certain golfers and vice versa. Having some basic knowledge of each laser rangefinder type will help you make the right choice. 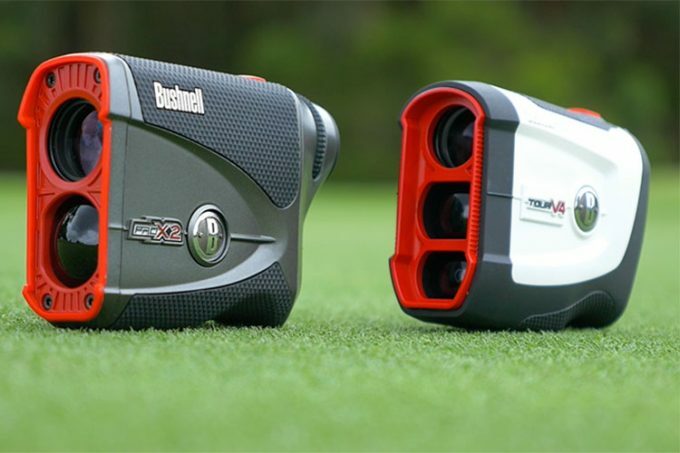 That said, our review basically focuses on the best laser rangefinders used in golf. We will outline the various top picks, their features, pros, and cons and note situations in which they can be used best. Let’s start! Having made the choice of using a rangefinder for enhanced accuracy, the most challenging part sets in, finding the best rangefinder. There are tons of rangefinders out there on the market. Whereas this provides the benefit of variety, how are you supposed to find the best golf rangefinder? Certainly, finding the best is an arduous task. However, to ease your search, we’ve come up with a guide that will help you get the best featured and quality product. This is based on the individual product features. Have a look at the following factors. This describes the distance to which the rangefinder can shoot reliably. There are two aspects of this factor. You ought to look into the minimum and maximum range. The minimum range is the shortest distance from the user that the rangefinder can measure. In many finders, it ranges from five to ten yards. However, it isn’t as important as the maximum range and shouldn’t be a deal breaker. 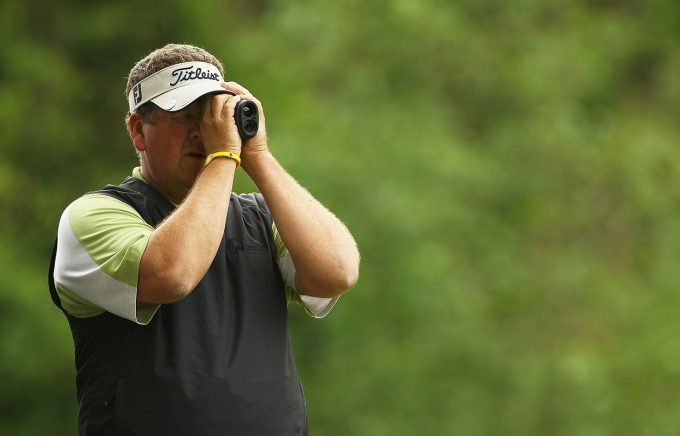 The maximum range is the main range feature affecting the prices of golf rangefinders. Maximum distance measurements often range from 500 yards to 1000 yards. A 1000-yard rangefinder is an ideal choice for outdoor activities. Magnification in rangefinders is similar to other magnification glasses used in other instruments to elicit details. They are used to help the user of the laser golf rangefinder strategically play the terrain, especially for long drives as you check and avoid obstacles. Magnification also influences the price of rangefinders, with top models having magnification factors of 5x and 6x. This is enough to give a wide monocular view, which is also important for golf. Dimensions of a rangefinder determine the amount of space taken. This ultimately affects the portability and indirectly, the overall weight. Going for compact rangefinders is prudent. However, it is better if you create a balance between compact/convenient sizing and the rangefinder specs. On the other hand, a small and light rangefinder is an ideal choice to carry around while being easy to use. Lightest rangefinders often weigh between 4 oz to a maximum of 7 oz. Just like other items, it is important if you consider your budget when shopping or rangefinders. This is made easy due to the wide variety of options available in various price tags. With this, you can confidently find something you can afford. 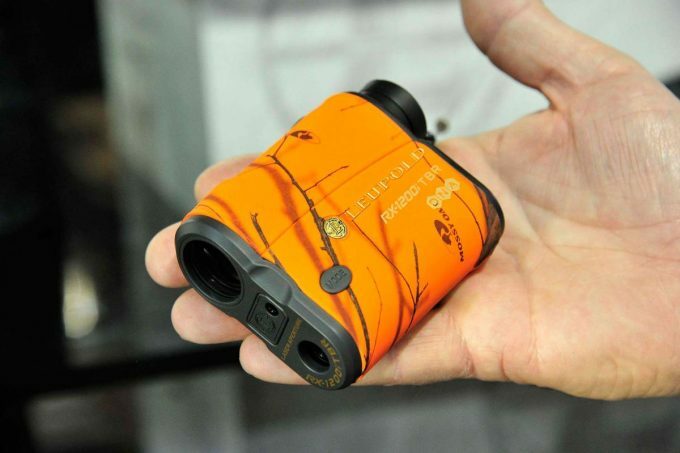 Quality rangefinders could be priced between $150 and $400 or even more. Note that the price tag of any finder is relative to its accompanying features. This relates to how quick the rangefinder measures the distance. Numerous finders take seconds to get virtual readings, but those aren’t laser rangefinders. This time is improved by the laser component of the rangefinder, which works at the speed of light, bouncing from the target to the source. This isn’t a major concern as speed for rangefinders is fast across all major models. Batteries are the main power source of all rangefinders. Whereas some are delivered with a start-up battery, other models require that you purchase on your own. However, the slight extra budget shouldn’t be a major concern. Something worth worrying is the type of battery used. Of course, you don’t want a battery that dies even before completing the first 36 holes. Ensure that you go for a rangefinder using longer-lasting batteries. This ascertains more reading as well as minimizes expenditure on purchasing replacements. When are you planning to golf? Can the rangefinder withstand sudden light showers? What of accidental drops into a puddle? Water has been known to be an enemy for various electronic devices as it leads to corrosion of the various internal metallic parts. However, some rangefinders seem to be an exception. These are made of rubber and plastic composite materials which make them somehow resistant to water damage. Remember that you can’t predict weather and showers may come unexpectedly. Due to this, you might need to consider having a waterproof rangefinder. Other crucial, top-notch features that can be considered include slope measurement and pin seeking technology. Both are advanced rangefinder technology which provides utmost accuracy and precision. As mentioned before, there is a myriad of rangefinder models to choose from in the market. 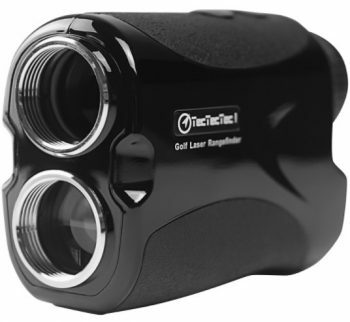 We have narrowed down to the following eight top golf laser rangefinders for convenience and easy search. Have a look! Specific features: Ultra-compact, pinseeker target mode, scan mode, 5x magnification, 24 mm objective lens, CR2 – 3V lithium battery. Description: Bushnell is a well-known and reputable family of gold rangefinders and the Bushnell Tour V2 Laser Rangefinder adds to the growing list of the company’s best products with unbeatable features. Magnification and accuracy of the Tour V2 cannot be doubted. It has a 5x magnification capability with an adjustable eyepiece and a +/- 2 diopter adjustment used to focus the viewfinder. You can obtain accurate and precise readings of up to 300 yards for a pin, 600 yards for trees and 1000 yards for reflective objects. If you find the ranging of this finder satisfactory, get ready for the exciting automatic scan mode feature. With this ability, the finder scans across the golf course and outlines updated distances from different targets. This is only possible if you keep the power button pressed. However, with this mode, you may experience difficulties reading distances to targets with objects close behind them. For instance, a flagstick with a tree behind it. The other hallmarking feature is the pinseeker mode. Having this mode of play makes your life easy as it allows you to determine distances to your targets despite the heavy presence of other objects closely behind it. When it comes to ease of use, thanks to its nice shape with tacky grips the rangefinder is comfy to hold. It is also waterproof and comes with a carrying pouch used to hold it securely. It comes with a fully-charged 3-volt battery which lasts approximately 5000 distance readings. Despite lacking a battery meter, it has a low battery indicator appearing on the viewfinder when the battery is low and needs to be replaced. The rangefinder also shuts down automatically after 10 seconds if not used. This aids in ascertaining a longer battery life, in cases where the power button is pressed down accidentally. Related: If you appreciate the compact nature and reasonable price of this rangefinder, you might consider the Bushnell Neo Ghost Golf GPS. This is a golf GPS for with a huge battery life, and it’s also tournament-legal. Specific features: Pinsensor technology, the lens display, lightweight, portable, eye-safe lens, high-tech optics, trio modes, auto-target acquisition and durable. Description: The TecTecTec VPRO500 Rangefinder is the best model the company has incepted. Unlike other rangefinders of the same caliber, it uses modern technology to provide an accuracy and flexibility. The high-tech optics being the first prodromal marker of this rangefinder, it is comparable to state of the art optical system with 6x magnification that brings everything close in detail. The plus or minus one accuracy makes this device quite sound. As if not enough, the multi-coated optics with intuitive finger mode of operation makes it overly plausible. The ‘Distant Target Priority’ mode provides instant readings of the farthest target among a bunch of targets. By scanning the course, you will easily identify, in meters or yards, how far the target is. This makes it perfect for any situation. There’s also the auto-target acquisition technology which sloughs off signals coming from large objects present on the course, allowing you to focus only on the pin and any target of your choice. To ease handling, this model is undisputedly compact and lightweight. With a full weight of 6.6 oz, it is certainly one of the lightest rangefinders in this class. Its compact design also makes it easy to carry around the golf course or store it when not in use. To finish it off, this rangefinder is overly sturdy and durable. Despite being light, it doesn’t compromise on the toughness of the material used. It also comes with a padded casing designed to provide a cushion from unexpected impacts in the field. The gloss surface prevents accumulation of dust and foreign particles. Related: This rangefinder is compact and lightweight to enhance portability and storage. However, it would be more prudent if you get the Stick It Magnetic Rangefinder Strap to enhance its portability. Specific features: 400-yard range, tournament legal, 6x magnification, advanced target lock function, a scanning function, shockproof and multi-distance mode. Description: Playing your favorite game, golf, requires that you get correct information. 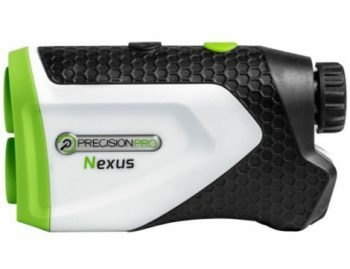 This is what the Precision Pro Nexus Rangefinder gives you. Despite not being a common brand in the rangefinder market, this model comes with a lot of features which enable you to play better as well as improve your accuracy levels. The advanced target lock function of this rangefinder is the best place to begin our feature outline. This functionality enables you to filter out background objects within your view for a clear view. With this, you will get the direct measurement to the flag or specific target and not what stands behind the green. Ranging is perhaps the other concern when it comes to laser rangefinders. With this model, it comes with a 400-yard measuring range which ensures that you never get out of range. 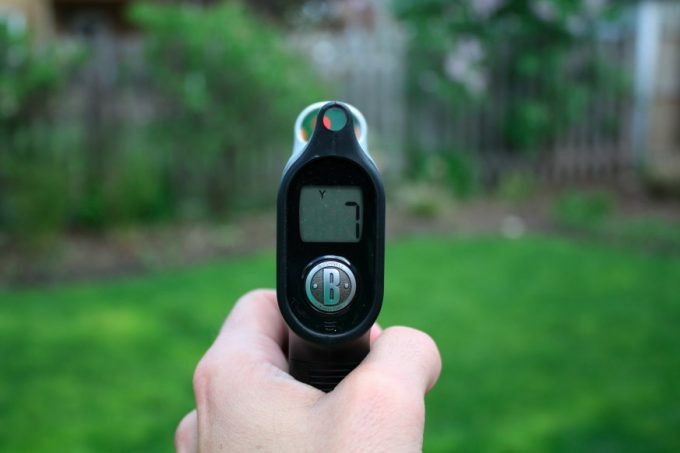 The accuracy of this finder, like other standard rangefinders, it is ± 1 yard down to 1/10 of a yard. Certainly, you are guaranteed accurate shots. You should also not overlook the 6x magnification factor of this rangefinder. Coupled with the high-speed SD laser, you will not only observe targets closer but also picks distances under 1 second. This is relatively fast compared to other rangefinders of this caliber. Other amazing aspects of this rangefinder include the multi-distance mode which makes it easy to switch between yards and meters for the units of measure, shockproof design, water resistant, 2-year warranty, an ergonomic design, and being tournament legal. Related: This rangefinder uses the powerful 3-volt CR2 lithium batteries. Manufacturers provide the first start-up battery. However, you may consider getting the Viridian CR2 3V lithium batteries – 3 pack, in case you need replacements. Specific features: Pinseeker with JOLT technology, 5x magnification, 5 to 1000-yard ranging, 2–year limited warranty, tournament legal, premium carry case and CR2 battery. 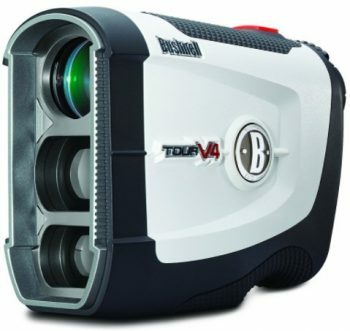 Description: Building on the success of the predecessor Tour V3, the Bushnell Tour V4 JOLT Rangefinder comes with some quite intriguing changes, like a remarkable reduction of size by 30%. It also features an improved Pinseeker speed and slope compensation. It is a solid, sturdy and high-quality rangefinder for long range shooting. We began by noting the significant reduction of this model’s size by 30% from the predecessor. This makes this rangefinder compact, small and lightweight. However, don’t mistake this for a reduction in efficiency. It fits perfectly in your hands or even the pockets. The slope compensation feature is the other interesting feature of this rangefinder. Whereas this isn’t a practically new idea as other models such as the Tour X had them, this model refines and makes the slope compensation aspect easy to use. You can turn this feature on and off depending on your preferences. It is also tournament legal. Like the other rangefinders of the same caliber, the Tour V4 features a pinseeker with JOLT technology. This provides for short vibrating bursts when you get locked to the flag. The 5x magnification, though not top-notch, provides a reasonable magnification power. Related: With such accrued importance, it is of the essence that you maintain the functional status of this rangefinder. To ease this, try the C911 Protective Silicon Skin for Bushnell which comes in a myriad of colors. Description: When searching for rangefinders, golfers often look for accuracy. The SereneLife Premium Golf Rangefinder guarantees this and much more. Its advanced technology is perfect for estimating the distance between you, the golfer and your target. This is achieved by sending a laser pulse to the target which bounces back. 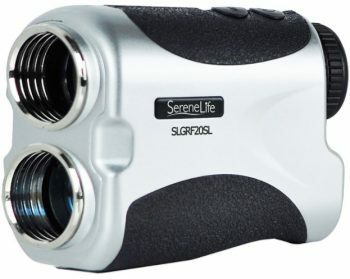 The SereneLife Premium is described as a modern looking rangefinder withal the features needed to get actionable and reliable data. This is provided by both the Pinseeker and slope technology. Note that this not only provides accurate readings but also enhances the user experience. With the slope tech, this device gives you accurate distance with elevation adjustments thus ascertaining distance accuracy. Proceeding to the Pinseeker, there are various settings which help you locate the course flag and individual distances. The rangefinder is also one button operated which puts your mind to ease. With this feature, this rangefinder joins the league of easy to use finders, bearing in mind that only one button does everything. As a golfer, all you need to do is aim at the target, press the button, and you are good to go. If you are concerned with the measuring range, which you should, this rangefinder provides measurements ranging from 5 yards to 550 yards. Quite impressing for golfers. It is also sturdy based on the engineered ABS material, so you can drop it a few times without any important damage. Related: In case you’re not into laser rangefinder you may make a stray shot. How will you find the golf ball? How about trying the Thumbs up Golf Ball Finder Glasses which illuminate the ball saving hours of search. Specific features: Measures up to 700 yards, continuous scan mode, Pinseeker technology, high precision, carry pouch, free CR2 battery, and ±1-yard distance accuracy. 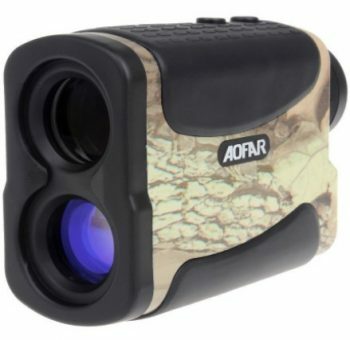 Description: A good example of a rangefinder that can be used for both golf and hunting is the WoSports AOFAR AF700L Laser Rangefinder. 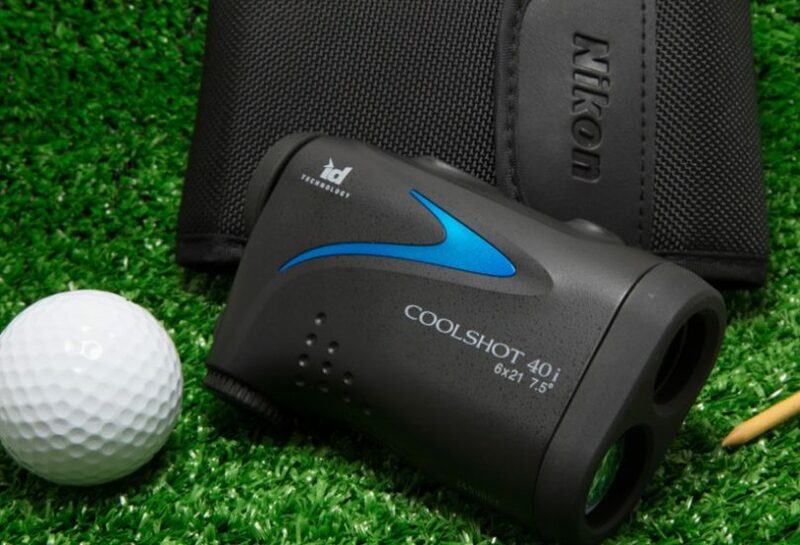 Many people often don’t agree with the fact that hunting rangefinders can be an ideal choice for golf games. This is perhaps due to the various feature difference, especially in vital aspects such as magnification, target priority settings, battery life, measuring range, design, and durability. Nonetheless, this Hunting and Golf rangefinder creates a perfect balance between these two rangefinder functionalities. Being a perfect choice for golf and hunting, it provides a perfect ranging, flagpole lock, scan and golf distance correction, a total of six working modes and fog correction for an amazing experience. This laser rangefinder measures up to a range of 700 yards, backed by the continuous scan mode for easy flagstick identity. The Pinseeker technology is also a vital component in helping golfers easily identify the flagstick, especially if it is partially obscured. High precision of this rangefinder is provided by the 6x magnification and 25 mm objective lens with a range accuracy of ± 1-yard. To finish off, the rangefinder is very lightweight and overly portable with a weight of only 6.3 oz. The delivery package contains a free CR2 battery, cleaning cloth, quick start guide and a carrying pouch. Related: For an enthralling hunting escapade with the golf and hunting rangefinder, you may consider purchasing the WoSports Action Camera Glasses with various features including the ability to record high-quality videos, instant shots, and audios. 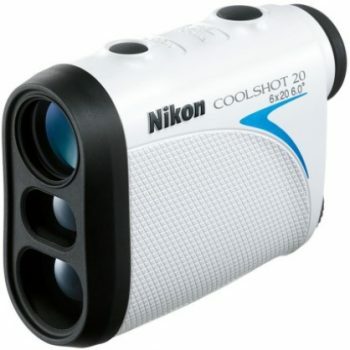 Description: If you need the experience of a little feature-packed tool, consider the Nikon COOLSHOT 20 Rangefinder. To begin, Nikon is widely known for its excellent products, especially when it comes to optics. 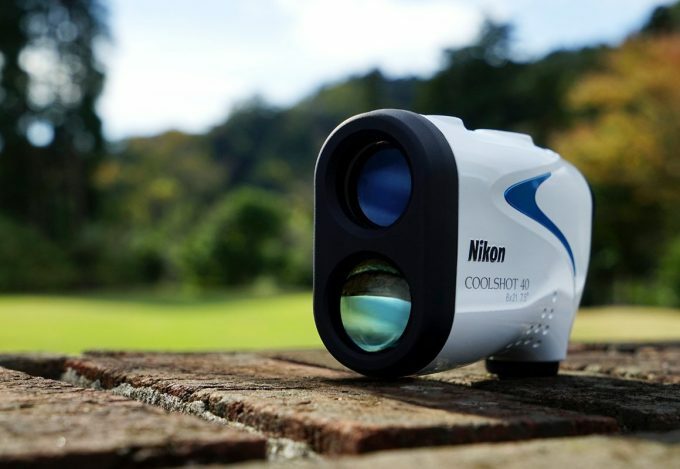 The COOLSHOT 20 is the most compact and arguably the smallest model of all models. The size of this rangefinder is the hallmark when it comes to descriptions. This offers a big advantage over other lasers in the market. It is thin enough that it can be slipped easily into a trouser or jacket pocket between shots. With this, you won’t need a bag closer. The COOLSHOT 20, just like its predecessor, the Coolshot, features a 6x magnification with an accuracy ranging from 5 yards up to 550 yards. It is also comparably easier to use as you only need to point the target, push the rear button which turns on the device to get the target in your viewfinder. This rangefinder uses the powerful CR2 batteries which provide long distant reading periods, as well as minimizing the need to frequently purchase replacements. To save and extend battery life, this rangefinder turns off automatically after 8 seconds if not used. It also has a battery meter on the screen which allows you to monitor the battery status. 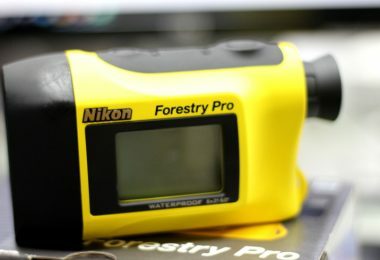 Like other Nikon rangefinders, the First Target Priority System allows the rangefinder to pick out the flag from various background objects by displaying distances shown accurate to +/- 1-yard. Related: Having purchased the Nikon COOLSHOT 20, it is of immense importance that you maintain the cleanliness of the lens. This is why getting the Nikon’s Lens Cleaner Kit would be an awesome idea. 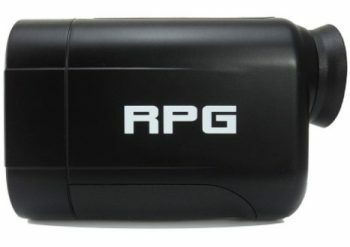 Description: If you need a good performing rangefinder at a pocket-friendly price, go for the RPG TE600 LASER Rangefinder. You will be impressed by how well this rangefinder performs compared to other expensive and better-branded rangefinders. Starting off the item specifics is the vibrate and pin sensing technology which is a crucial feature that notifies you that you have identified the target successfully. Once the RPG TE600 vibrates, you’ll know that you have the target within your crosshairs. Many people often complain that they can’t easily achieve flag recognition. However, with the RPG TE600 rangefinder, this is taken care of by the larger target display which makes it easy even for those without steady hands to recognize the flag easily. This rangefinder is also tournament legal thus can be used in competitions. This is perhaps because it lacks the slope compensation feature which provides slope distance by adjusting elevations. However, it accurately measures straight line distance. Other noteworthy features of this rangefinder include the 60-day money back guarantee, 650-yard measuring range, scan mode which allows multiple target scanning and CR2 batteries. Manufacturers also provide a 1-year warranty on this 6x magnification rangefinder. Related: Effectively mastering the art of measuring distance using a rangefinder can be quite challenging. Especially if you are a beginner, a Laser Rangefinder User Manual will come in handy in guiding you make the first steps to successful ranging. 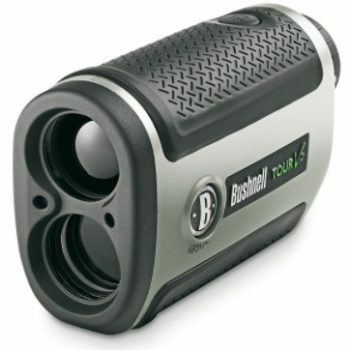 Rangefinders are an important investment for any golf or hunting enthusiast. If you love golf, finding the best golf laser rangefinder should be on your to-do list, if it isn’t already. Based on our experience, finding this can be quite a challenging task, for both beginners and even golf pros. This is why we have reviewed the products above, analyzing the top rangefinders on our market today, their features, benefits, and drawbacks. We have also outlined some of the various key points to consider when searching for a perfect golf laser rangefinder. With the guide above, we are certain that we’ve hit the bull’s eye. 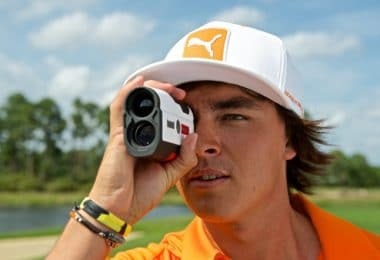 If you realize that our list hasn’t exhausted all the best golf rangefinders you know of, we will appreciate if you drop a comment below. Mike is a hunter since he was 6 years old and his father would take him to Alaska or British Columbia. He realized that the difference in gear that you have might have a big impact on how much game will you carry home. 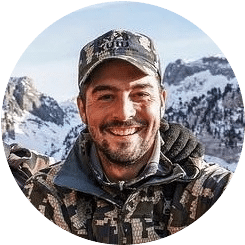 Later he decided to share his valuable experience with our readers to help you to choose the proper gear for hunting and outdoors.